At Virgo Auto Body, we are doing our part!!! 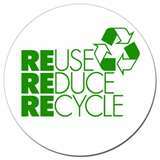 The three R's......Reduce, Reuse, Recycle. We are doing our part to help preserve the environment. No longer are we using solvent-based basecoats to refinish your vehicle. As of Spring, 2010, our shop is fully equipped, extensively trained and excited to spray water-based paint. Our "carbon footprint" is now 10% what it used to be. We are proud to offer BASF water-based basecoats to refinish your vehicle. REDUCE: Water-based basecoat is more concentrated so we are using less materials to refinish your vehicle. We us HVLP (high volume / low pressure) spray guns so more paint goes on the vehicle, not in the air, which also enables us to mix less paint to get the job done. REUSE: We do our best to reuse parts and supplies. Whether the insurance company repairing your vehicle requests us to, or we are working from our own estimate to save you money, we offer top quality used parts through our many used part suppliers. These recycled parts can save money for insurance companies and out-of-pocket customers alike. RECYCLE: This is a big one for us!!! We have two paint recyclers on our premises. All of our leftover paint is recycled. This is nothing new here at Virgo. We have been recycling for years. All of the damaged parts that are removed from your vehicle are recycled. Plastic bumper covers are sent to an aftermarket bumper supplier that will recondition usable bumpers for resale and recycle non-usable bumpers. All metal parts are sent to the scrap yard on a weekly basis to be recycled. Even the paper products in our office are recycled through the Cherry Hill Township Recycling Program.